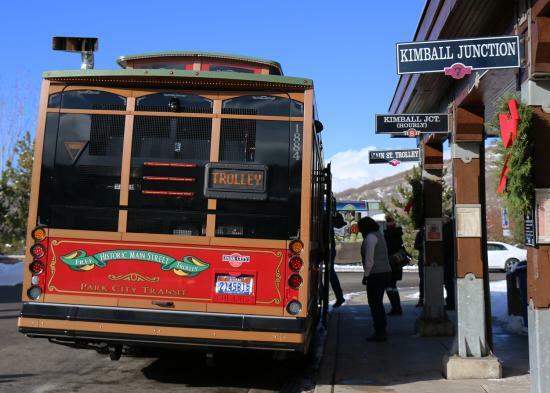 The Trolley, which cruises Historic Main Street daily, is a Park City icon. Guests can be picked up and dropped off along Main Street and are treated to a unique transportation experience. The Trolley has always been the perfect addition to an already charming section of town. After years of great service, the Main Street Trolley is being replaced. But the charm shall remain! Introduced by the Park City Municipal Corporation, the new Historic Main Street Trolley offers many wonderful features, some of which include an efficient, clean burning engine (clean diesel), a cupola with natural light, and both increased efficiency and schedule reliability. Stay tuned as Park City Municipal Corporation will soon introduce additional transportation improvements to the town’s free transit system, including a brand new transit center in Kimball Junction, as well as new electric buses.